Welcome to the Aizu Higashiyama Onsen Village. Only 10 minutes by car from the heart of Aizuwakamatsu City (population of over 120,000), Higashiyama’s luxurious, natural hot springs are unparalleled. It is said that the onsen village was loved by many artisits and poets, such as Takehisa Yumeji and Yosano Akiko. Higashiyama’s onsen are ryusan-ensen or sodium-sulphate hot springs. Slowly unwind your mind and body as you relax in the warm waters. 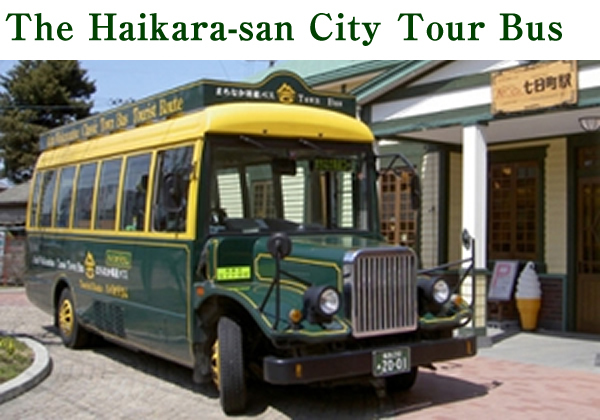 Haikara-san will guide you through all of the historical symbols of Aizu, such as Tsurugajo Castle, the Site of the Byakkotai Tragedy, Iimoriyama, and nostalgic Nanokamachi. 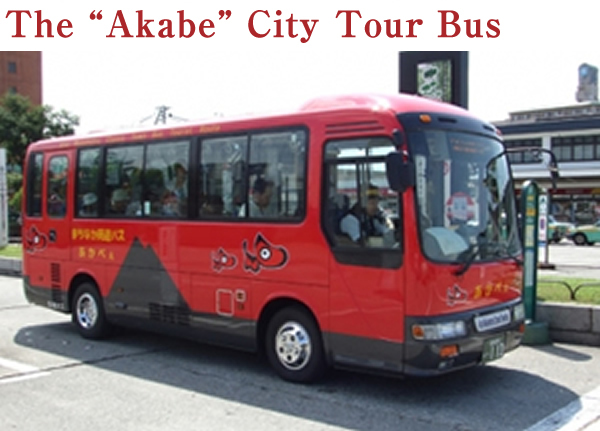 “Akabe” is the reverse route tour bus for the Haikara-san bus route. Service is offered at 30 minutes intervals, from 9:15am to 4:15pm. We have made recent enhancements,so it is even safer for customers to get on and off the bus.